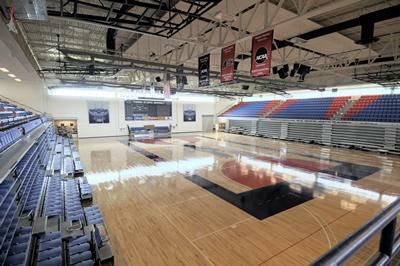 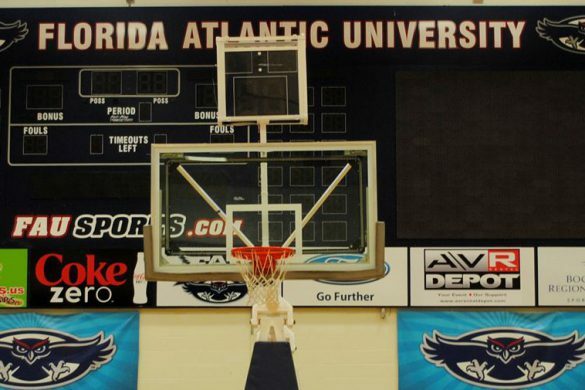 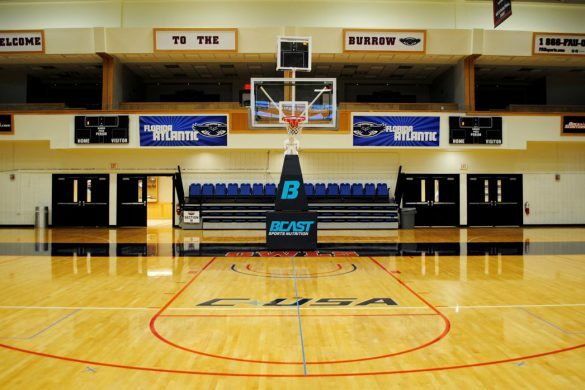 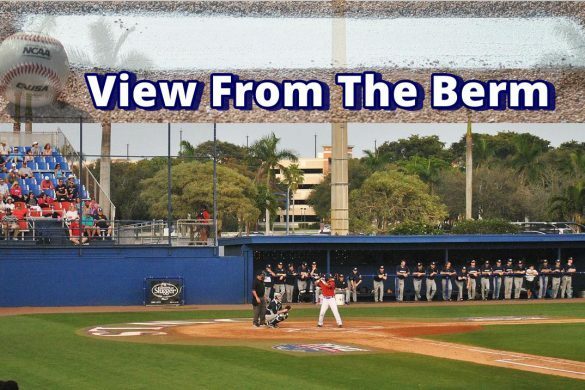 Above Photo Gallery Courtesy Former FAU Student Max Jackson. 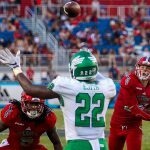 See His Work Here. 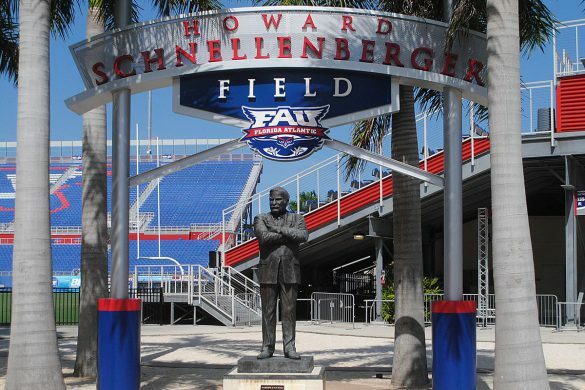 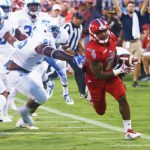 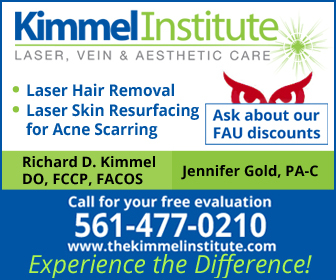 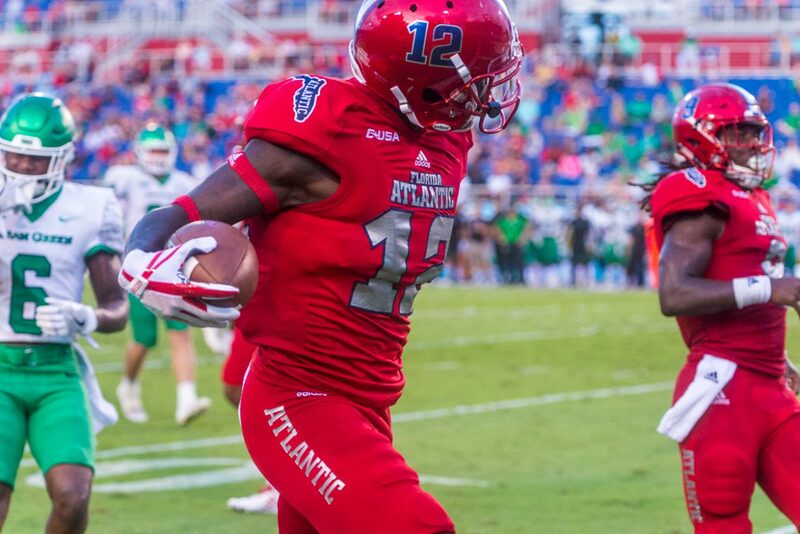 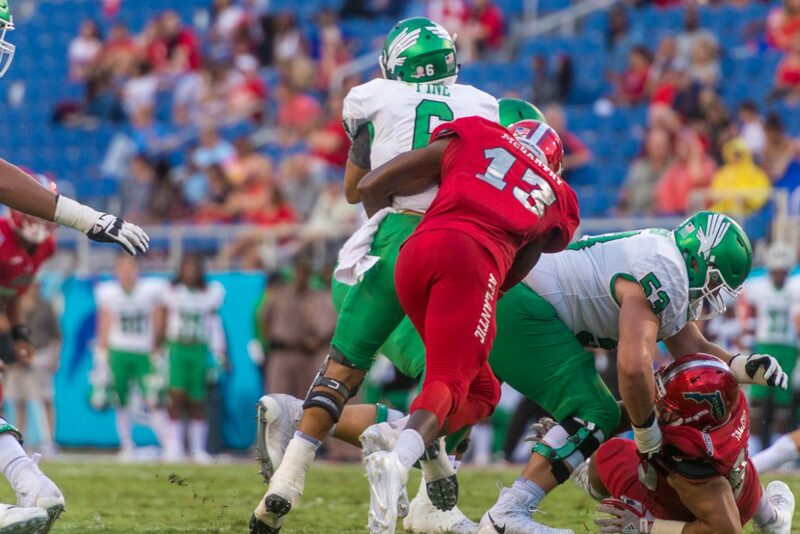 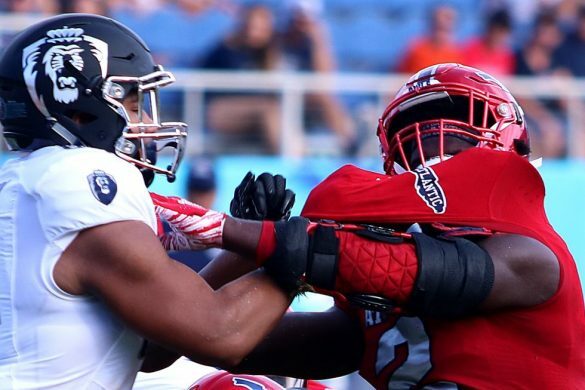 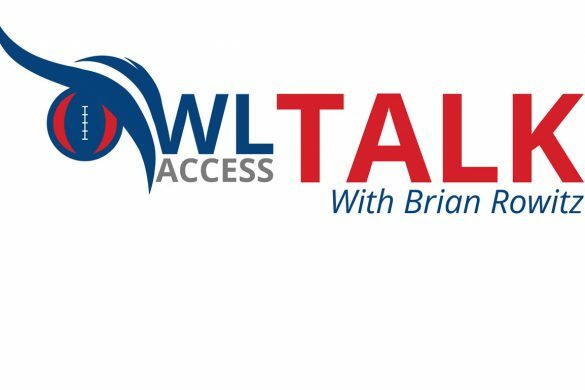 BOCA RATON – For the first time this season, FAU showed exactly how potent the Kendal Briles-Baylor offense can be. 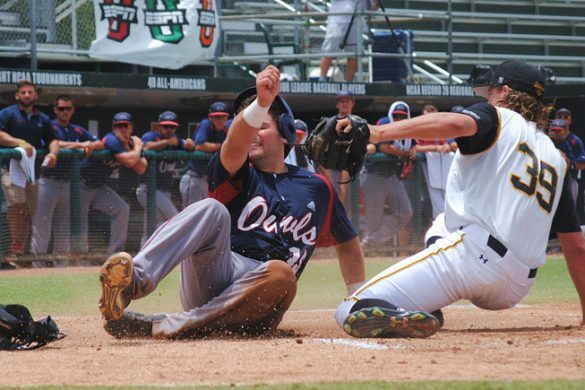 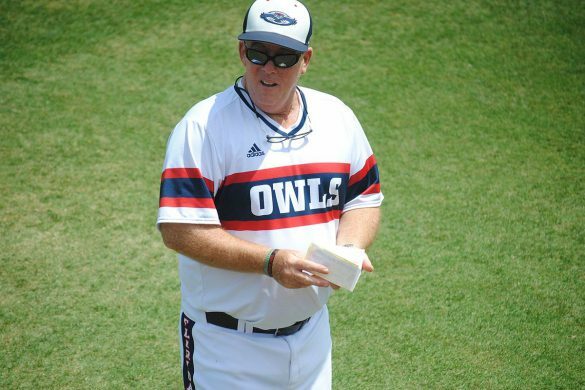 For the second consecutive game the Owls set a program scoring record. 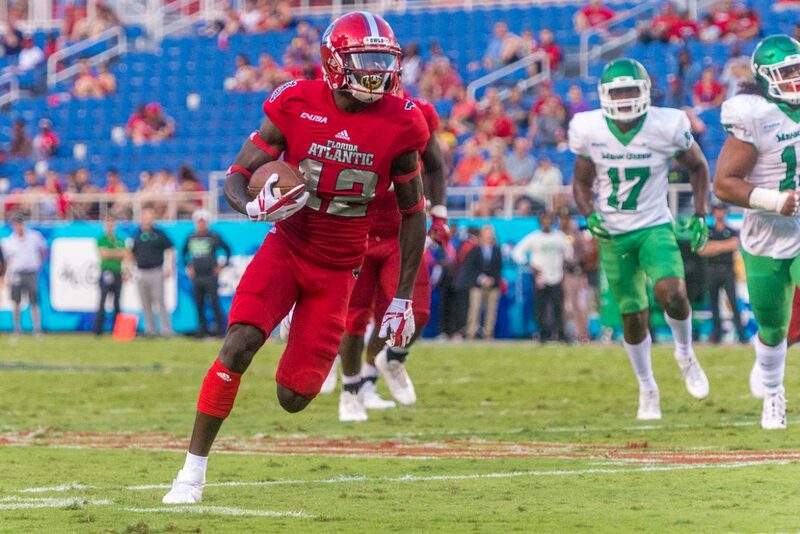 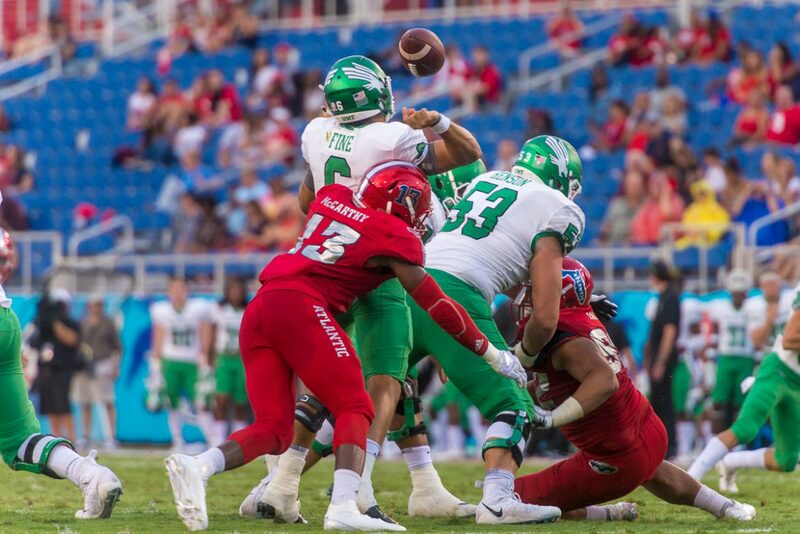 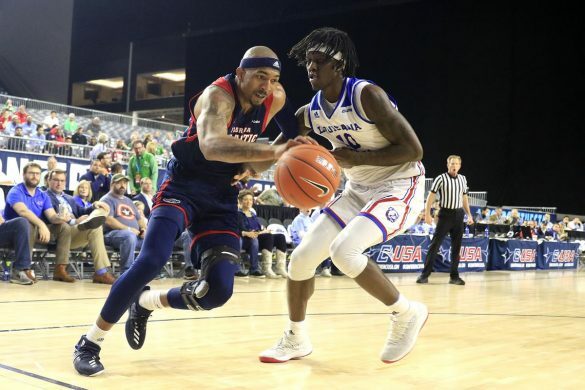 In Saturday’s 69-31 victory over North Texas, the Owls did so without being one dimensional. 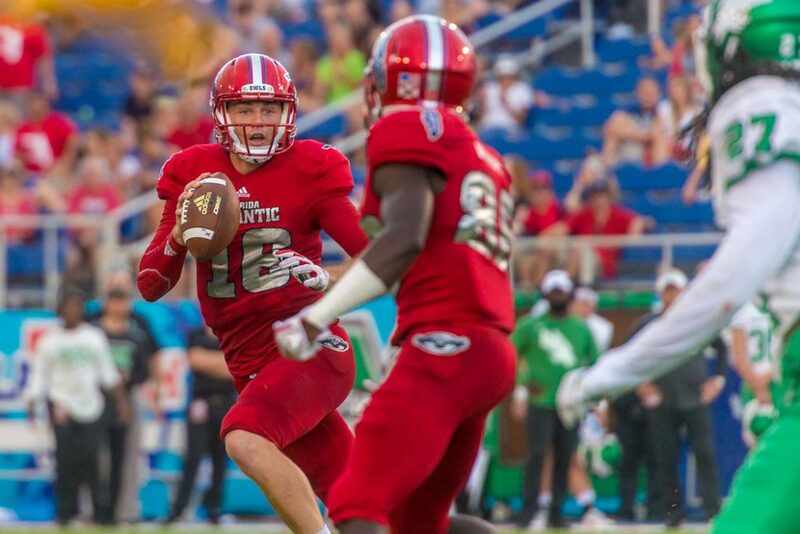 Quarterback Jason Driskel and a struggling Owls passing game broke out in a big way. 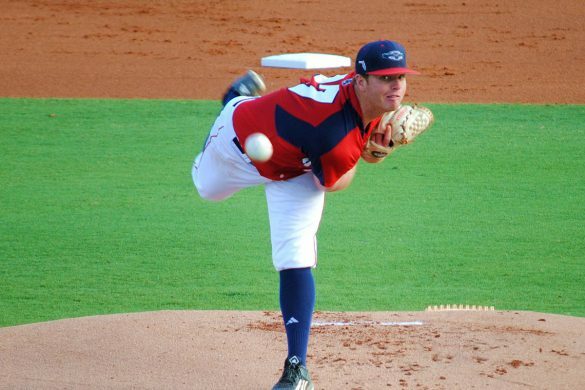 Driskel, the redshirt junior starter, threw for 357 yards in less than three quarters of play. 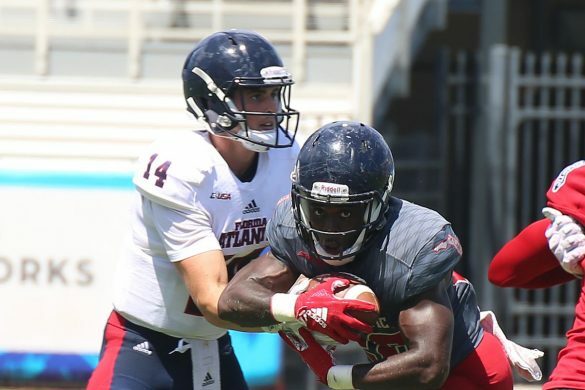 The Owls didn’t even need to put the ball in the air during the fourth quarter. 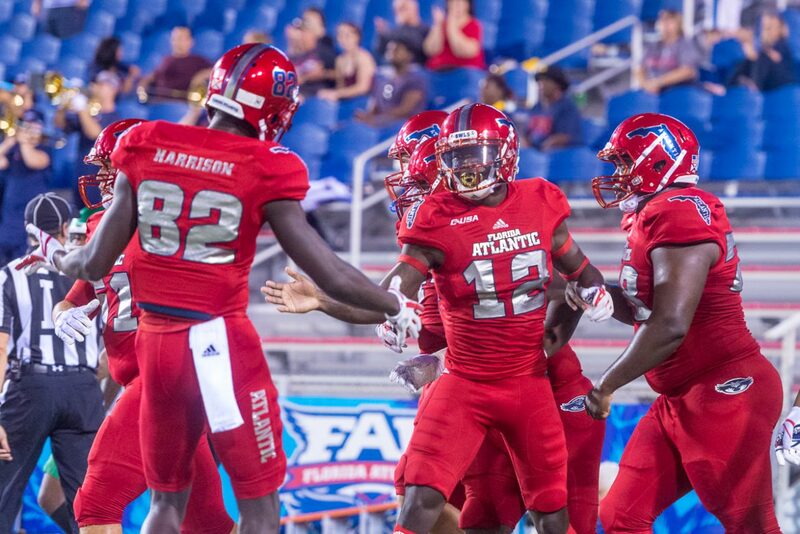 FAU scored on its first 11 possessions before turning the ball over on downs late. 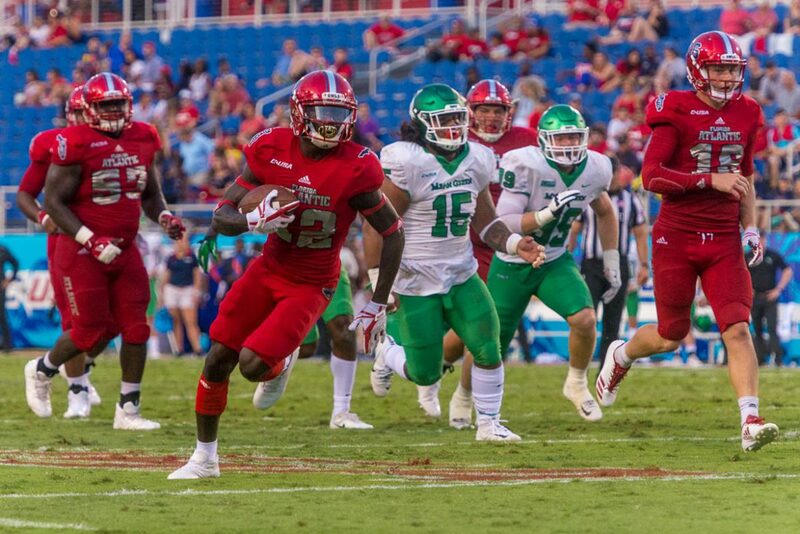 Driskel came out slinging, completing passes on four of the Owls’ six plays before turning the drive over to Devin Singletary. 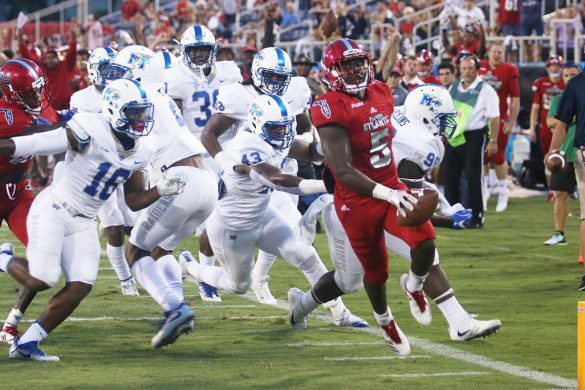 He completed nine of his first 12 passes before finally connecting on the big one – a 69-yard touchdown pass to Willie Wright. 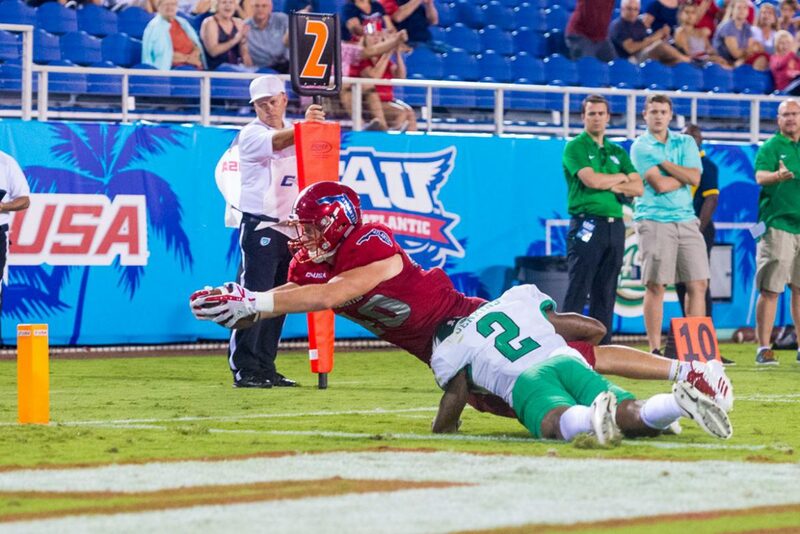 A true freshman, Wright caught eight passes for 141 and that touchdown in his biggest game to date as an Owl. 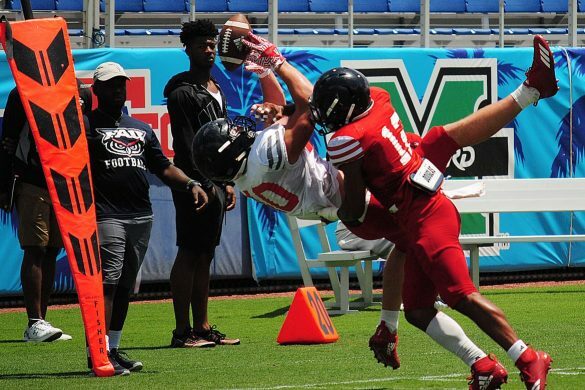 Driskel and tight end Harrison Bryant connected seven times for 69 yards and a touchdown. 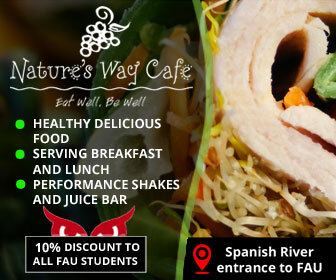 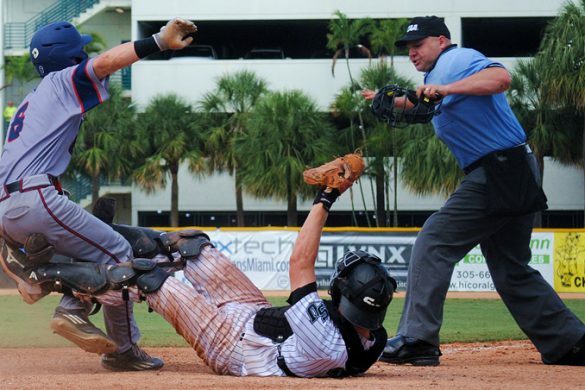 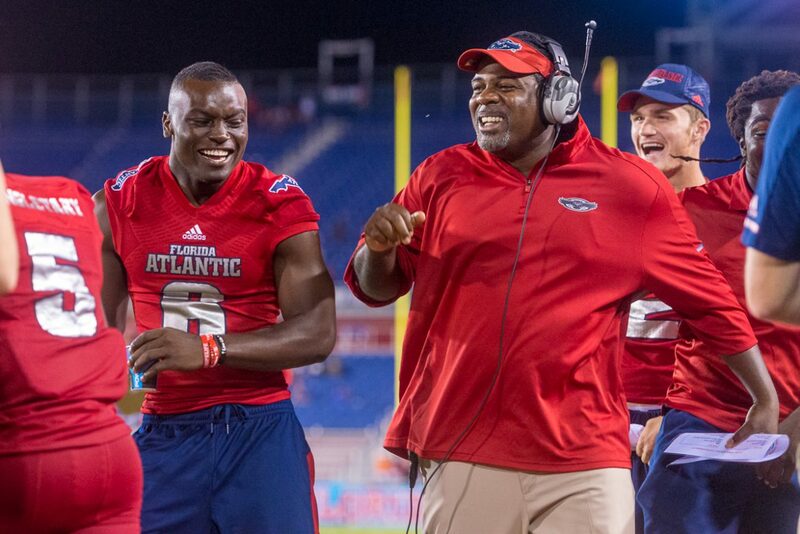 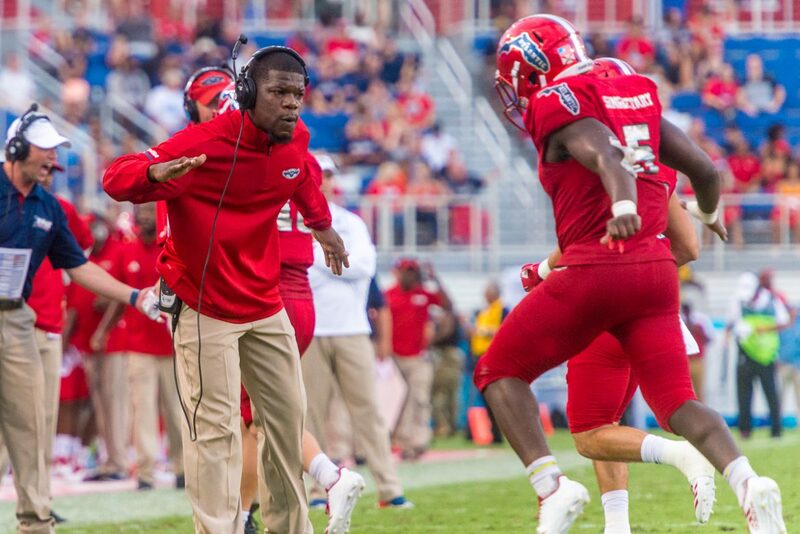 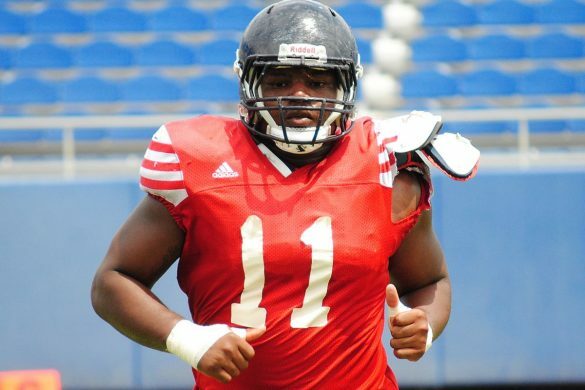 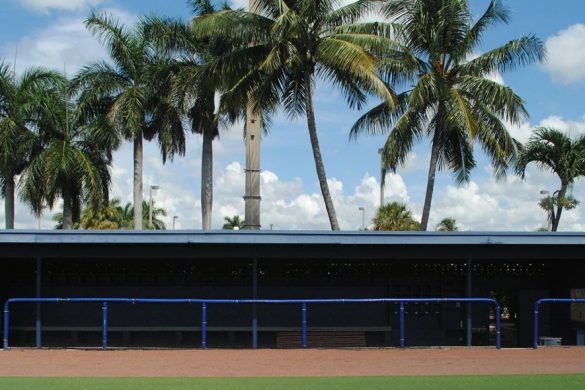 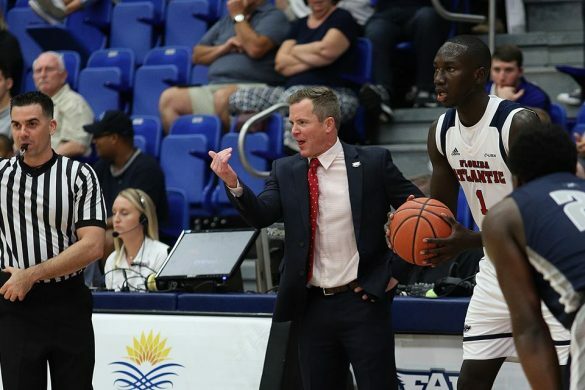 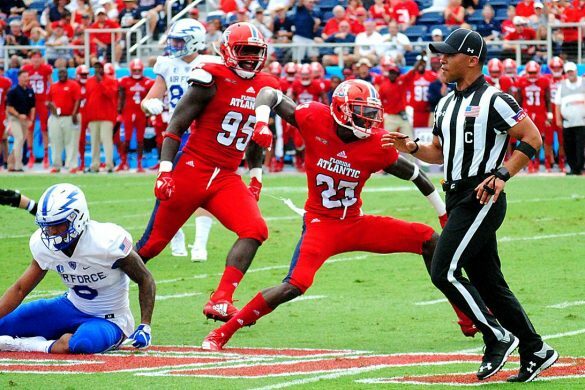 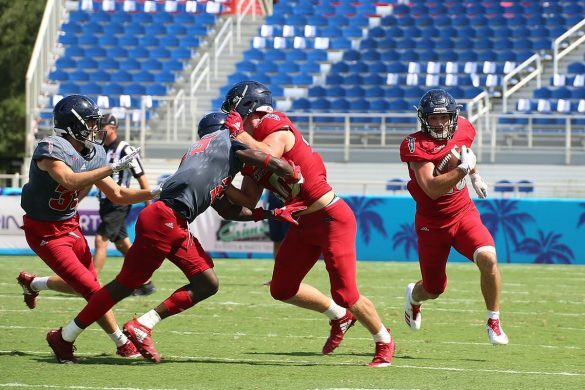 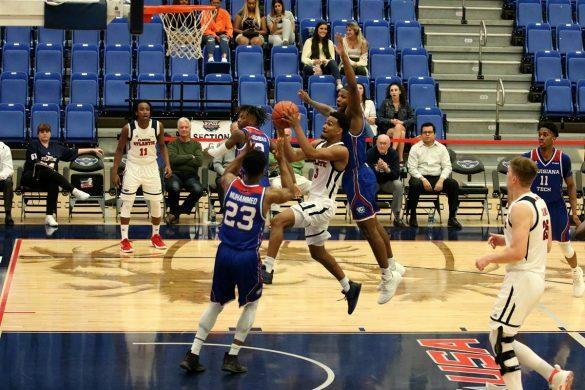 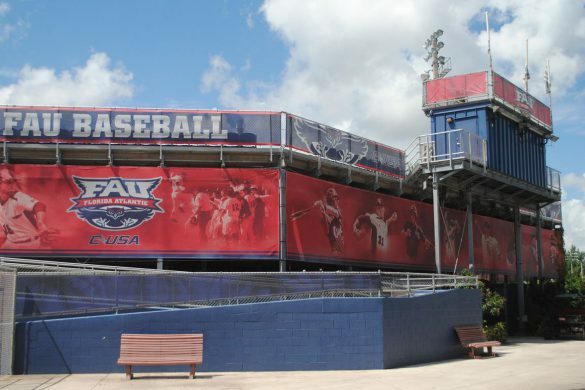 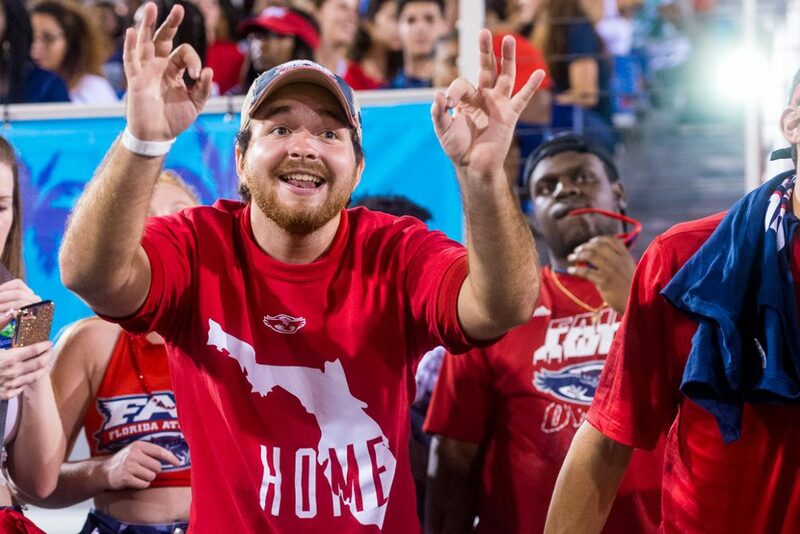 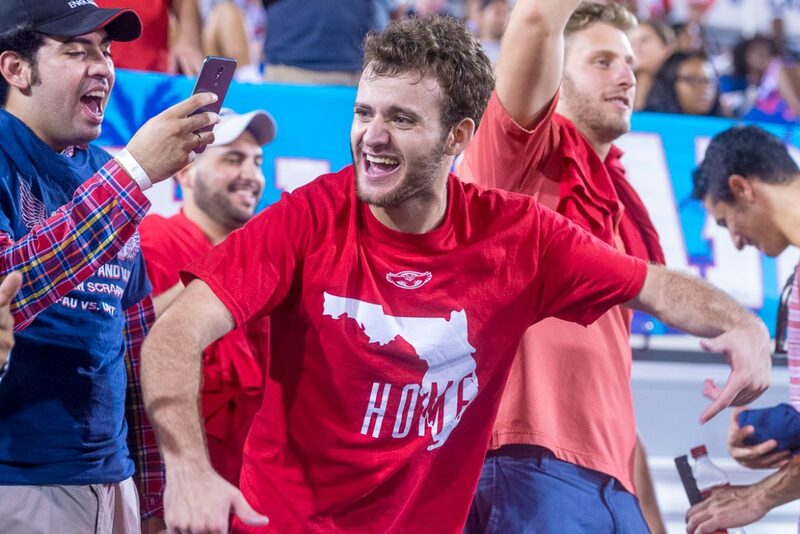 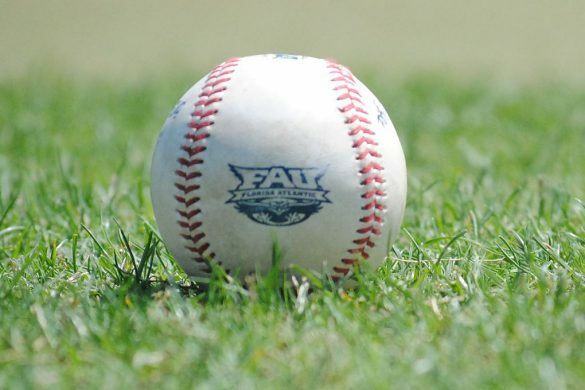 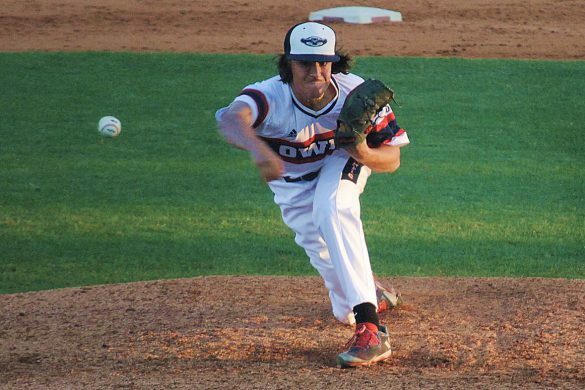 Daniel Parr started the first three FAU games this season. 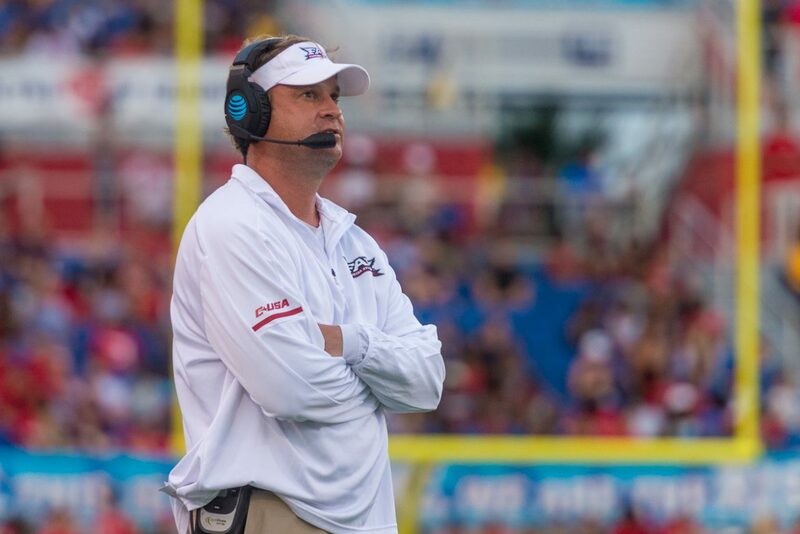 Searching for a more dynamic passing game coach Lane Kiffin turned to Driskel, last year’s incumbent. 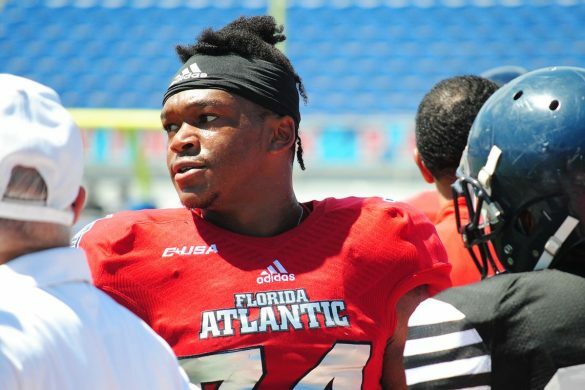 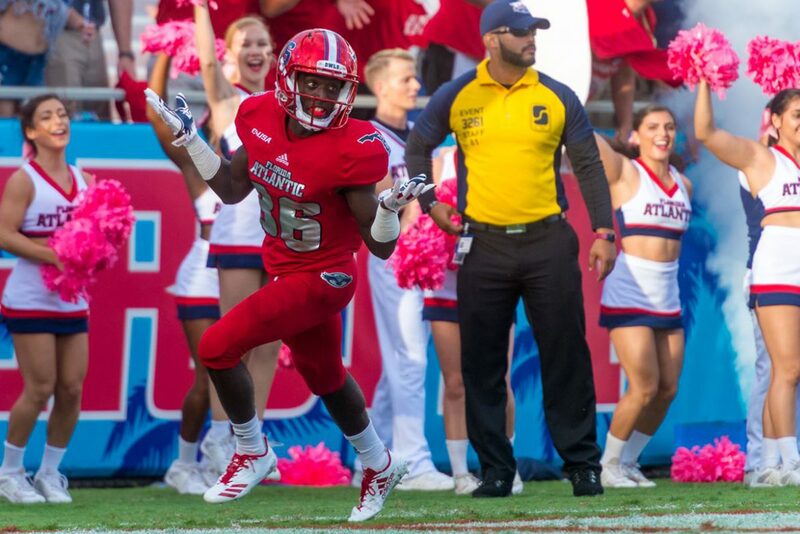 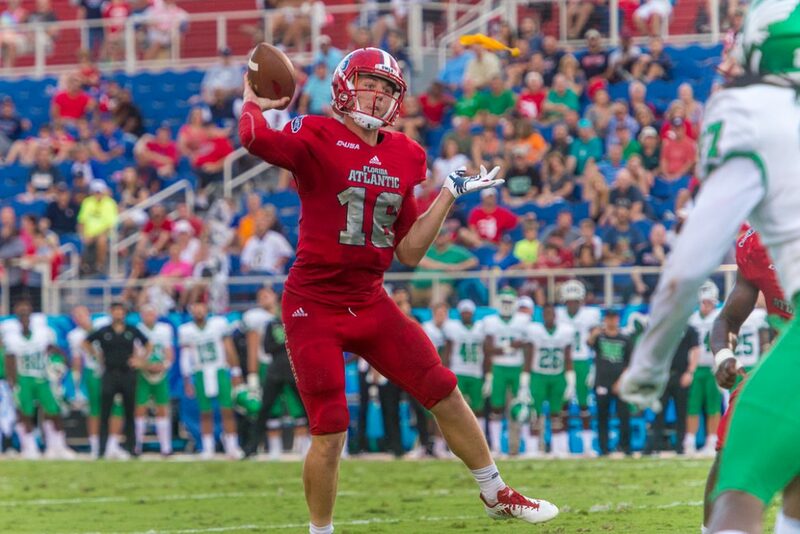 The Owls averaged about 150 passing yards through the air in Driskel’s first three games, partially because Driskel and the Owls’ wide receivers struggled to connect and partially because, with Devin Singletary, Buddy Howell and company running wild, FAU didn’t need to throw the ball. 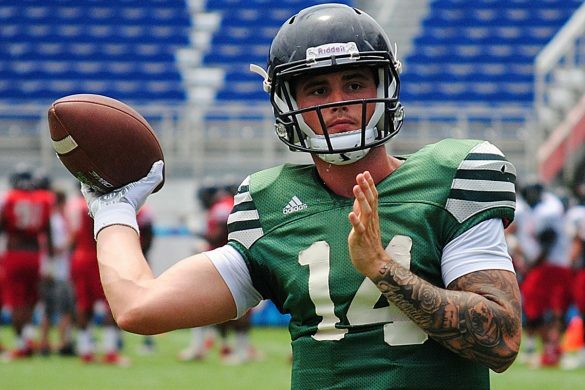 Coming off a bye week, what finally made the passing game click this week?